Rio Salado College | RioNews: Get Help 24/7 with Ask a Librarian! Get Help 24/7 with Ask a Librarian! 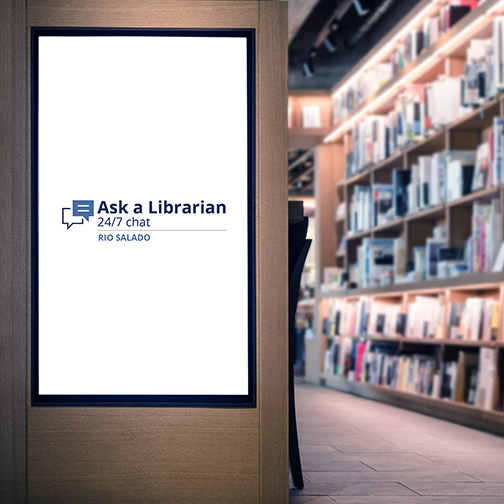 Ask a Librarian is a free, online service that provides you with 24/7 access to a live librarian who can help you start your research, find resources, answer questions about citing sources and more! Go ahead, give it a try. Ask a Librarian now!